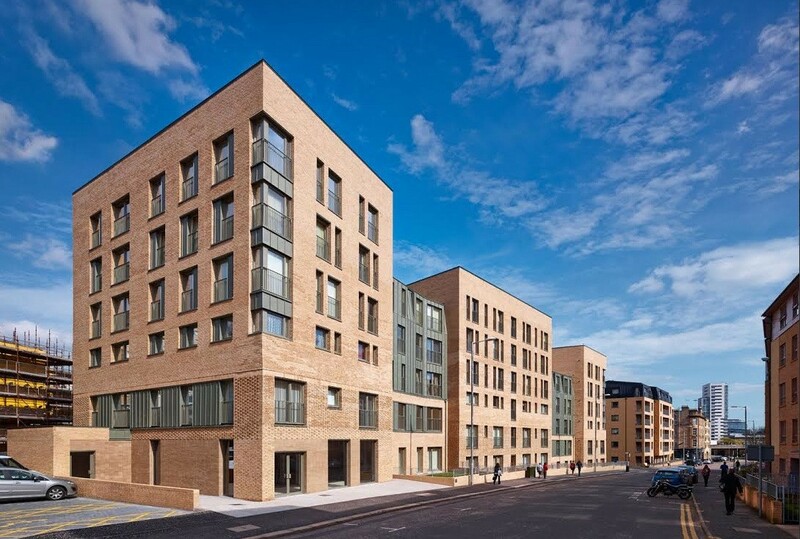 Collective Architecture has completed the latest phase of the Anderston Regeneration master plan, delivering 44 flats, 5 town houses and a retail unit on behalf of Sanctuary Housing Association. 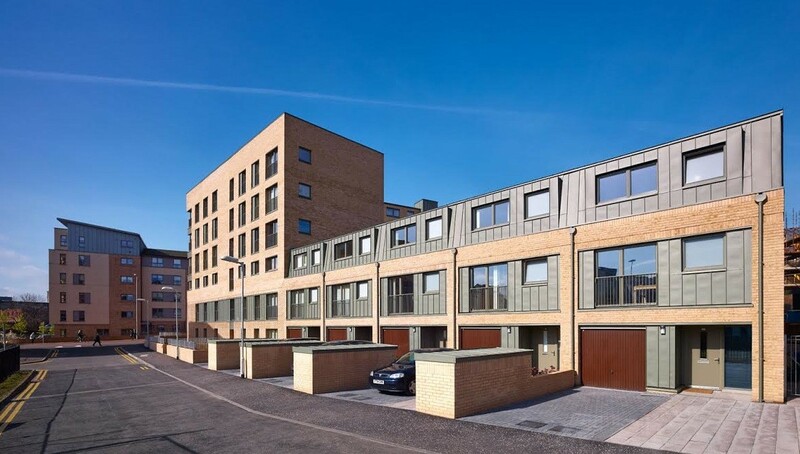 The £5.2m project forms part of efforts to restore the original street pattern of the inner city district, obliterated during comprehensive redevelopment in the 1960’s, by reinstating the original street edges and tenemental scale. 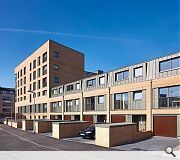 Flats are arranged around three central closes with each enjoying dual aspects and full height windows on the primary elevations. 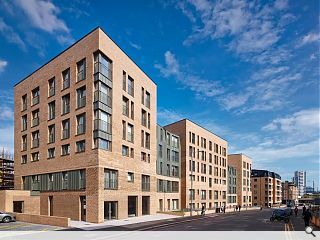 Comprising of three monolithic brick clad blocks separated by lower zinc clad elements the scheme presents a robust face to Argyle Street with smaller scale town houses located to the rear. 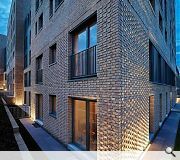 Built on top of a heavy masonry plinth completed in projecting Flemish bond the upper storeys are stacked above, delineated by a recessed band of brick stretcher coursing. 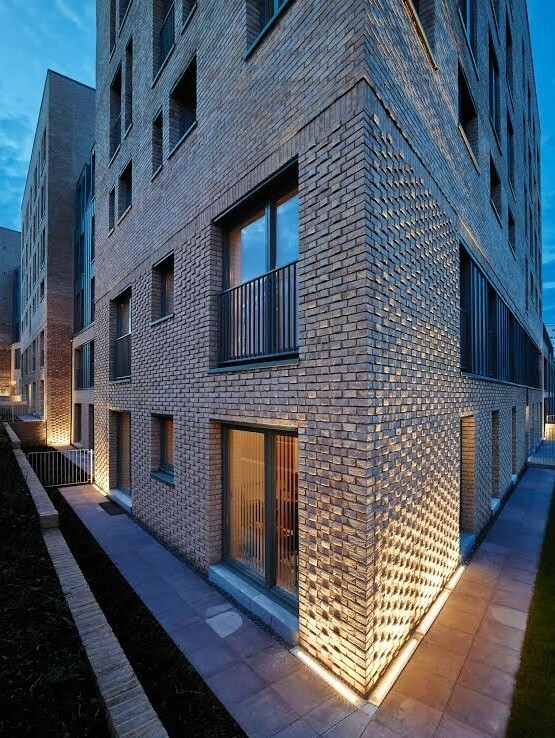 Feature LED lighting has also been employed to illuminate each corner of the Flemish bond brickwork plinth and surrounding landscaping.